Your CPA firm has decided to take the leap and partner with a managed service provider. You’re in good company; accounting firms of all sizes are outsourcing their complicated technology needs to these skilled companies. You may be using a managed service provider to maintain the security of your network, to handle your cloud-based services, or even to maintain on-premise servers. No matter how you use them, a managed service provider can help streamline your business and keep it safe from a cyber breach. But now that you’ve decided to establish this partnership, how will you reap the maximum benefit from this arrangement? This post shares our best tips on how to establish and maintain a great relationship with your managed service provider. The key word in that last sentence was “relationship.” Your managed service provider should become a partner in your business. This is particularly crucial because we are so dependent today on technology. You’re handing over one of your most important business functions to these firms, so it’s okay to expect a lot. But what you’re expecting should not be left to assumptions – it must be clearly defined. Current technologies and whether you need an upgrade. How these technologies support your workflows. Could automation take the place of any of your manual processes? If you’re migrating data to the cloud, will this occur in a way that is not disruptive to your firm? If the managed service provider is supplementing your existing IT team, how will the two work together? Get a free assessment of your technology needs. It’s helpful if the firm has worked in the accounting industry before because they’ll already have a basic outline of the framework you operate under. The assessment process will help the MSP get a handle on your unique situation and goals. Be honest about your expectations. Don’t hesitate to ask clarifying questions. The SLA should be less a marketing document and more like a statement of work that the two organizations (you and your managed service provider) can come to terms on. Make sure the document clearly spells out the specifics of the arrangements. Set attainable goals and deliverables in the SLA. You want your MSP to under-promise and over-deliver the service they are providing. Your MSP should work with you to ensure that the guarantees they’re offering are completely attainable. Ask for clarification on anything that seems ambiguous or unclear. For example, make sure you understand what happens to your service after normal business hours. If there is a problem on a holiday, who will be available to help you solve it? What is the standard response time for fixing an issue and what are “acts of God” that might take longer to repair? Ask about the “hold harmless” clauses and understand exactly what they entail. 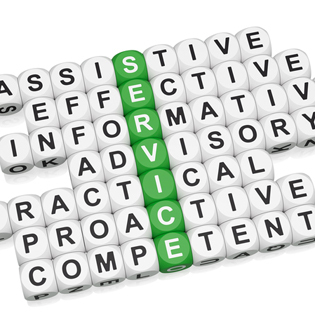 Understand and feel confident in the credentials of the team that is serving you. It’s okay to ask! What is their experience in the particular service they’re offering? How often is the team participating in continuing education (IT) classes? Look for stability, agility, and a clear focus on disaster recovery in the firm you choose. Understand how communications will work. We recommend a feedback mechanism that will ensure that small issues don’t turn into big ones. How will reporting occur and how will you escalate an issue if or when you need to? Make sure your firm’s internal teams are behind this decision and understand how the managed service provider will interact with them. If new services are being implemented, how will this affect their workflows on-site? Will additional training be needed? These are just some of the considerations for CPA firms as they take the step toward establishing a partnership with a managed service provider. These relationships may begin with a short-term goal that evolves over time as your technology and business imperatives change. That’s why it’s important to find a managed service provider that can scale with your business when you need it to. But before this happens, lay the groundwork for a mutually-beneficial partnership. Request a quote for TOSS C3 managed services.